To celebrate the sixth year of the fantastic upcoming Alt.Fiction Festival for writers and readers of science fiction, fantasy and horror, Writing East Midlands is featuring four Alt.Fiction writers as the March Writer’s of the Month. Alt. Fiction will bring together some of the UK’s leading talent in the genre, and present a full programme of readings, panels, workshops, podcasts and much more, giving you the chance to hear from your favourite authors, find out more about the world of publishing and learn about the writing process. Alt.Fiction will take place over the 14th and 15th of April at the Phoenix Digital Arts Centre in Leicester, and is a weekend not to be missed for book lovers and budding writers, for more information please see here. Marie O’Regan is an award-nominated writer and editor of horror and dark fantasy fiction, and her short fiction has been published in such places as The Alsiso Project, When Darkness Comes, Terror Tales 2, among others – her first collection, Mirror Mere, was published in 2006, and she is also the co-editor of Hellbound Hearts (Pocket Books), along with her husband, Paul Kane. Marie and Paul’s non-fiction interview book, Voices in the Dark, was published early in 2011. “? Can you tell me a bit about your recent books The Mammoth Book of Body Horror andThe Mammoth Book of Ghost Stories by Women? “? Being a writer based in the East Midlands, how do you feel about writing in the region and what Alt Fiction has to offer? “? What inspires you as a writer? “? What would be your Desert Island book, and why? “? Can you tell us about your writing process, are you a detailed planner, or do you like to let an idea sweep you away? I’m not a natural planner, no. I do try, and these days I plan more than I used to – but in the past I used to get an image, write it down, and go from there. These days I’ll find myself with an image I can’t get out of my head – that becomes a scene, then I figure out what works round it and how the story progresses, even if it’s only in bullet point form. Once I have that rough idea, I start to write. “? What advice would you give to a writer wanting to get published in the genre market? Join the British Fantasy Society. It really is like a family, and provides an invaluable support system for anyone within the genre community. The annual convention, FantasyCon, boasts attendance by many, many professionals in the genre – and is genuinely one of the friendliest cons you can go to. Through these you can get to meet your heroes, learn how the industry works, who’s who, and what’s being looked for. You make so many contacts, and friends, I can’t speak highly enough of it. Paul and I ran last year’s FantasyCon, which was a huge success, and are part of the team organising this year’s, also in Brighton. You can book for that at www.fantasycon2012.org/join.php, and next year World Fantasy Convention comes to the UK, something that’s only happened a few times before. That’s being organised by Stephen Jones, Amanda Foubister and Michael Marshall Smith, the team behind World Horror 2007 and 2010, so Paul and I are part of the team for that, too. That’ll be in Brighton as well, and you can find more details at www.wfc2013.org. It’s really going to be something to remember. “? What are your future plans? Well, as I said, we’re going to be at Alt.Fiction this year, teaching workshops etc. Then there’s FantasyCon 2012 in Brighton, in September. Apart from The Mammoth Book of Ghost Stories by Women, there’s one more anthology due out later this year that I can’t really talk about yet, plus I’m working on a novel and various other writing projects that are in varying stages of completion or submission. We’re always busy! 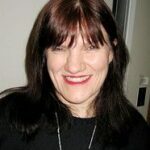 To view Marie’s profile on the Writing East Midlands Writer’s Database, please see here. To read a short story, ‘The Real Me’ by Marie, please see here.